A campaign sign for a candidate in the Alberta election has been defaced with profane and racist graffiti. 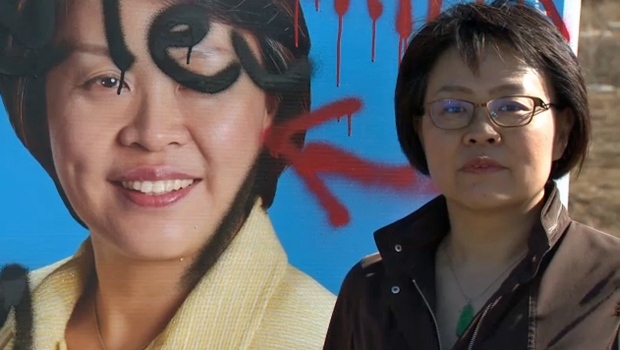 Joanne Gui, the Alberta Party candidate for the northern Calgary riding of Calgary-Edgemont, says she was brought to tears after seeing her sign had been spray-painted with several profanities and the word “c**nk” with an arrow pointing to her face. The rookie politician says she has been inundated with messages of support from her fellow party members since news of the sign broke. The Calgary Police Service is investigating the vandalism.